I’m sure this is old news to everyone at this point, especially since major news sources (USA Today, CNN etc.) picked up on the amazing United first class mistake fare on Wednesday, but United has decided to NOT honor any of the tickets that were booked. A lot of digital ink has been spilled about whether United has legal obligation to honor these tickets (obviously United doesn’t think so) but I’ve been asked by several people for my thoughts on this so I figured I’d outline them here. With mistakes fares, there is never a guarantee these flights will be honored even if they get ticketed. In the past we have seen some amazing fares honored such as the Delta First Class glitch (Christmas 2013) and the $187 flights to Abu Dhabi a few months ago but we have seen some ultimately voided such as the infamous 4 mile United award flight to Hong Kong. There has even been an instance where the airline (in this case Swiss) cancelled tickets but was later forced to reinstate the tickets after the Canadian Government got involved. Since these flights were TO the United States, which is an important criteria, that rule reads to me that if I paid the agreed upon amount, United cannot void nor raise the price of the ticket that was issued. United offered me my tickets at 666 DKK and I accepted – that seems pretty cut and dry – and I can see the charge on my card, indicating United also accepted my payment. While United is publicly blaming a 3rd party for the currency error, that is still on United since they ultimately hired that company to provide that service. Based on a very literal definition, I read that to be the DOT rule above should be in effect. That said, I certainly do not feel cheated nor dis-serviced by United which seems to be the intent of the rule. It will be interesting to see what viewpoint the DOT takes on this. So what can you do? You can file a complaint with the DOT citing this rule and making your case why the fare should be honored. It takes about 5 minutes to fill the form outline here and if this is your first time doing this, please read this Flyertalk thread on how to do it. I think there is a non-zero chance the DOT will step in and enforce these fares. I believe they are getting overwhelmed with complaints and they might decide to take action by forcing United to reissue all these tickets. To be clear, I think this likelihood is small but its not zero. For those that will ask, I am NOT filing my own DOT complaint as I do not feel truly dis-serviced by United and I am not any worse for the wear. Follow blogs like mine, Dans Deals, Flight Deal, View From the Wing etc. Better yet follow them (and me) on Twitter as well. For example, I re-tweeted Gary’s post about the mistake fare several hours before I could get my own post up about it. Subscribe to the Flyertalk Mileage Run and Premium Deals threads. I believe this fare was first found and outed on Flyertalk about 4 hours before I saw it on any blog. Once you are aware of the mistake fare, DO NOT CALL THE AIRLINE. This is rule numero uno. The sooner they find the mistake, the sooner they will kill it so let’s not help them out. OK? Be ready to book and fast. Sometimes these deals literally last minutes, sometimes hours. I had a buddy of mine book one ticket for his girlfriend but by the time he went to book his ticket, the deal was dead. You don’t always have time to call your spouse/partner/boss/friend/second cousin twice removed. You generally have 24 hours to cancel your itinerary after booking so book the flight first THEN figure out if it will work for you. If not, simply cancel. And I’ve even seen the airline allowing you to cancel way after the 24 hour mark without issue since they don’t actually want customers taking advantage of the mistake fare. Read Instructions! While you do need to be quick, take an extra 30 seconds and re-read the instructions or details behind the mistake fare. For example, a co-worker of mine ended up booking an economy ticket instead of first class during this mistake fare. Ultimately it didn’t matter since the tickets were voided. I’m sure she would have been happy to get a $50 flight either way but if you can do it in business/first class why not? Lastly, know a general idea of what dates would work for you. You should be able to quickly determine what weeks/weekends you are not available due to other travel or commitments and what your ideal dates would be for this trip. Once I saw this mistake fare post, I knew I wanted to travel before June 12th but I couldn’t travel in March, the end of April or beginning of May. 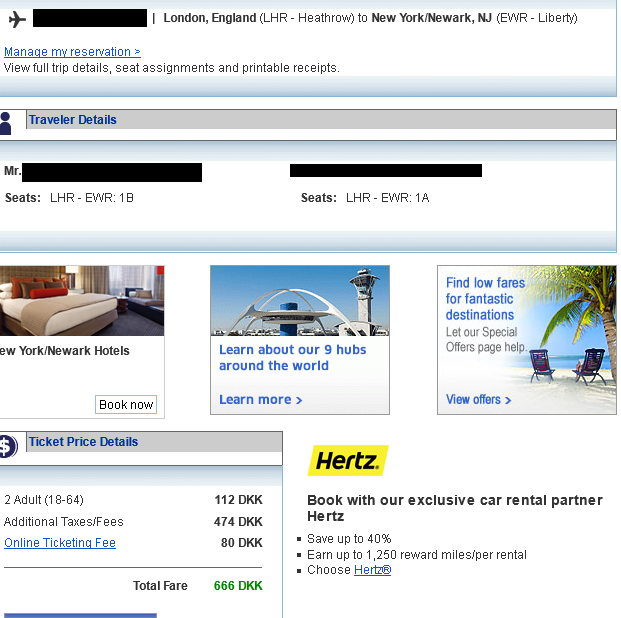 In the end, I was quickly able to book early June but it helped knowing when I could book and when I couldn’t it.